How does in-depth product training, learning best practices from peers, one-on-one time with Omnify support staff, and reference material to share with your team for free sound? These are just some of the reasons to attend the 2017 Omnify Software User Conference. Taking place at the beautiful Scottsdale Plaza Resort in Scottsdale, AZ, the 2017 conference provides an opportunity for Omnify Software customers and partners to experience an unparalleled training event over the course of three days. From beginner to seasoned-there is training for every level of user. 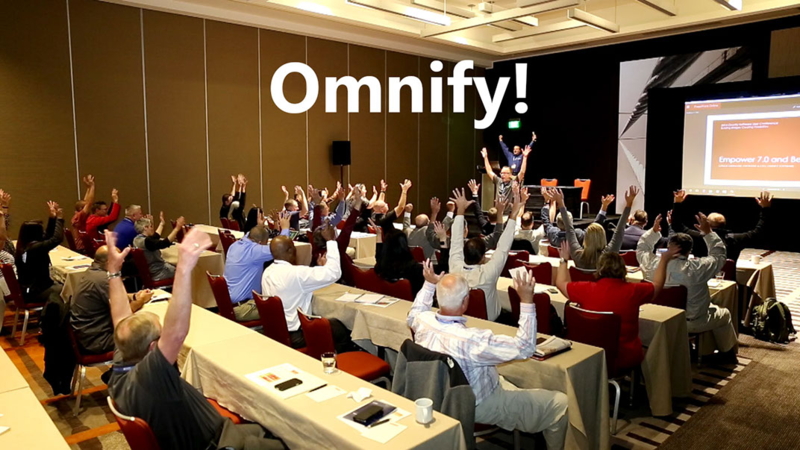 Thank you to our customers and partners for another great Omnify Software User Conference! "Great Presentations, Networking Opportunities and Events." The conference training sessions provide an optimal learning environment by allowing you to participate in small, focused workshops to meet your specific training needs. The conference networking sessions are designed to provide a structured, round-table environment to network with your colleagues with whom you have common interests. An exciting line-up of customer and industry expert speakers will inspire you with their Omnify Software success stories, innovation and best practices. In addition to the networking opportunities available throughout the conference, we provide fun events to promote networking in a more personal, relaxed environment.